» Bomb Shelter: Why Did Tower Heist Fail? The failure of Brett Ratner’s $75 million Tower Heist last weekend was overshadowed by the director’s bigger failures as a human. Still, it must be asked: What went wrong? Heist had plenty going for it, including a timely premise, a release date light on competition, the usually bankable Ben Stiller, Eddie Murphy in his most promising role in years, and some of the least-awful reviews of Ratner’s career. Predicted to top the box office with at least $35 million, Heist made off with a mere $24 million, landing in second place behind the week-old Puss in Boots. So as Ratner embarks on an apology tour, Murphy sulks back to movie jail, and Stiller calls his agent to see if there are any Fockers we haven’t yet been introduced to, we asked a pair of Hollywood professionals (a prominent agent and producer) for insight into why Tower Heist bombed — and what the fallout might be for its makers. 1. Eddie Murphy: Not a Star. 2. Ben Stiller: Only Sort of a Star. As long as parents or museums are involved, Stiller is a reliable draw. But outside of his franchises, he’s no guarantee (see: 2007’s The Heartbreak Kid, which finished its theatrical run with a measly $36 million). Also, about those franchises — even with help from rising ticket prices, their grosses aren’t what they used to be: 2004’s Meet the Fockers made $279 million; 2010’s Little Fockers earned only $148 million; 2006’s Night at the Museum grossed $250 million; and 2009’s Night at the Museum: Battle of the Smithsonian made $177 million. 3. It Was Marketed as a Star Vehicle. 4. Everything Brett Ratner Did. 5. It Was Too Expensive. 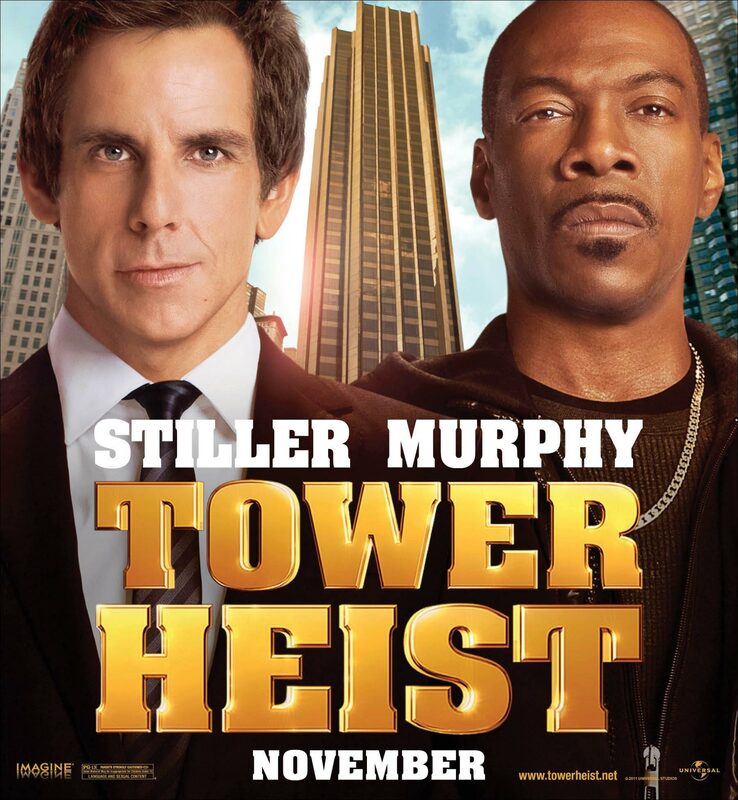 Who Does Tower Heist Hurt? Lane Brown is an editor at Grantland. To comment on this story on Facebook, click here.